I’ve been very quiet on the blog these past few weeks because it’s November. For the last five years, I’ve been participating in National Novel Writing Month, which involves writing 1666 words a day for the entire month. Some people write many more than that. For me, 10 pages every 24 hours is a lofty enough goal. If you stay on track you get to 50,000 words by the end of the month. I’m happy to share this exceprt from this year’s work in progress, The Princely Papers. I wanted to explore an idea that’s lingered with me for a few years: what if someone in a royal family wanted out of that family but couldn’t leave? This is a major a departure from the crime series or romance plots of years past which makes it all the more fun. Have a read below and let me know what you think! Hundreds of people, several lines deep, pressed along the carriageway. The crowd’s roar of approval vibrated the glass carriage. “Oh.” She sank against the cushions. Watching the video of her parents’ marriage was one thing. Experiencing the adulation in person, knowing the masses were now trained you, was another. As far the eye could see the red, white and blue of the Union Jack fluttered from lamp posts and in people’s hands. True Love Does Exist read a life size poster with a reprint of their engagement photo. You’re Beautiful and Your Prince is Charming boasted another. She drew back from two people hanging over the barricades, their faces masked by cardboard cutout likenesses of herself and Thomas. “Oh my goodness.” She rubbed at her upper lip. For a woman sheltered from the press since her mother’s death, Torie cringed from the attention. She didn’t have the peacock gene. Her mother passed that on to Albert exclusively. Torie had to look elsewhere for a role model in dealing with the public. She spied her grandmother’s carriage, moving several hundred paces ahead of them. George squeezed her knee. “You look lovely.” He brought her attention away from the crowds, who called to them from either side. Torie grabbed at those fingers. “Yes?” His bony hand lay limp in her grasp. More brown spots dotted it, disappearing under his jacket sleeve. “Yes Father.” Torie waved, a smile stretching from ear to ear. She waved as they practiced in the rehearsal. I’ve done this before. For Granny’s Jubilee celebrations. The reminders did nothing to soothe her tumultuous thoughts. Her heart cried out for Thomas. His texts that morning came in a flurry. Gifs of vows gone wrong – brides falling into water, animals grabbing at bridal veils, children running off with the rings. She laughed so hard at the last, tears forming that the makeup artist warned her she would have to start over because of smudges. A few minutes more she reminded herself. Nearly there. The carriage rumbled to a halt. She gathered her dress into her hands, leaning forward to exit. He passed her a bottle, which she drank from greedily out of sight behind the side panel of the carriage. “Oh, I don’t know.” She tossed the bottle between their feet. “Hundreds of millions tuned in from around the world,” she said in her poshest accent. “This is the BCC, bringing you live coverage. The princess today is wearing Chanel, breaking tradition by choosing a French designer over a homegrown talent.” My face is on the tea towels she bit back the mounting hysteria. And t-shirts and lapel pins. She drew away from her father. The silence in the coach was at odds to the rumbles of enthusiasm from outside. The carriage slowed as they approached the Abbey. Torie saw lookalikes of her and Thomas. Some were wider. Others were darker. She held in a laugh bubbling to the surface. People want to look like me for fancy dress. A surreal idea, even as the reality confronted her outside the window. What if they didn’t get out – they picked Thomas up instead, and sped off into the distance? Her mind skidded to that other perfect bride, the one who radiated calm on her wedding day, then fell apart during the honeymoon. Was this how she felt? Dread, nerves, and mounting horror? In the photos of her mother’s wedding, the ivory veil shielded so much from the camera. The angle of Frances’ head, aimed towards the world beyond the window, the tiara sparkling in the sunlight – her mother was the vision of fairytale princess. Everyone said so. Except for the tragic end. How she longed for her, today of all days, to ask what those moments had been like. Torie realized with a sinking heart there would be dozens more like this. The birth of her first child, naming him or her, choosing a school. Should she follow tradition or make her own way? Frances’ death pricked anew. She should have taken the Xanax Thomas suggested. His advice came on the heels of some bad memories of doctors prescribing Valium for her mother. The rumors of her emotional instability were legendary, chasing Torie throughout her childhood and adolescence. The press took it as a given she would succumb to the pressure as her mother had. Torie hid it as best she could, in the girls’ finishing school. In her darker moments, she knew the appeal of bulimia wasn’t far away. Victoria gripped the door handle. Street after street thronged with people. Here in this one hundred yards, there was no one but the footmen, and her father. The words seared her like a brand. How many times had those same words fallen into her ear from the secretaries, ladies in waiting, media commentators. To hear them now from the man who made her mother’s life miserable – Torie took a ragged breath. You don’t care. You got go live and your lover is now your wife. Seated at a place of honor at the wedding breakfast. The strength of her rage took her breath for a few moments. Albert wasn’t the only one who needed to talk about it. The footmen approached the door. 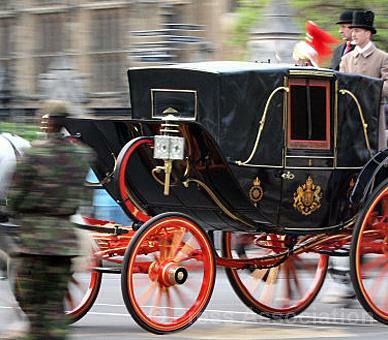 The door to the carriage hung open, waiting for the princess to step down and into the glare of ten thousand cameras. “Now is not the time for this discussion.” He pulled at his tuxedo. “That’s not an answer.” Anger surged through her, the strength of which took her back to the moments after they first told her. Your mother is dead. She died in a car accident. She wasn’t wearing her seatbelt. The string of details came one after another, the last one hitting her in the chest like a boxer’s punch. She could have done something to survive. She didn’t and now you’re alone. Another set of words, repeated over and over until she heard them in her sleep. Victoria pushed herself off the bench. She took the hand of the footman waiting for. As she stepped onto the red carpet, wound like a wagging tongue out the front of the Abbey, the roar of approval filled her ears.